Do I Need To Increase My Running Speed? I am new to running. I started about 6 weeks ago. I am now running 3 miles about 3 to 4 times a week. I am overweight and trying to lose weight. I am currently 210 lbs. and 5'6". It takes me 44 minutes to run the 3 miles. Is this too slow? It seems that every time I try to run faster I am out of breath. 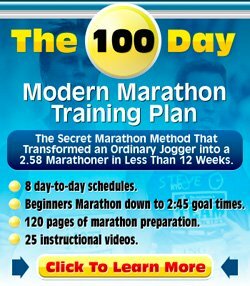 How do I increase my running speed? Thanks for your excellent running training question and welcome to the running community! I am happy to see that you have picked up running and are already running 3 miles about 3 to 4 times a week. That's excellent. When running for weight loss and trying to burn calories, the important thing to keep in mind is that it is almost all about the distance you cover. Of course, when running fast for five minutes, you will cover more distance and hence burn more calories, than when you'd run slow for five minutes. However, chances are that after running fast for five minutes you have had enough of it. When running slow, you will be able to continue running and eventually cover more distance. So, do not be afraid to run slow. Yes, with 44 minutes in 3 miles you are not the fastest, but that's ok. That probably has to do with the fact that you have not yet built up the stamina to cover that distance easily. If you persist with it and slowly build up the distance you run you will find that you eventually will be able to run faster as well. At the moment, running slow as well as combining running and walking is an excellent method to get into running. By the way, another disadvantage of fast running, especially when you are a new runner, is that it increases your risk of injuries. Best of luck with your new found hobby!